It’s the week of the year when runners get more excited and nervous with anticipation than Christmas. It’s when the results of the 2019 London Marathon Ballot are released and the acceptance magazines pop through the letterbox. For many, there will be joy along with a feeling of ‘oh crap, I better start training’ and for the majority there will be a sigh of disappointment when the package with a souvenir jacket and a note with ‘Sorry’ at the top arrives. Book your hotel – As with any big city race, hotels get booked up pretty quickly so my advice is to book your hotel as soon as you’ve got your acceptance. I would recommend looking for a hotel near to Tower Bridge as it’s a relatively short walk to London Bridge station to get to the start and not too far to get back to after the race when your legs aren’t at their best! It’s also a good area for family or friends coming to spectate as the bridge is just before halfway and also between miles 22 and 23, a very useful place to get a shout! I would recommend looking at Travelodge as they have a few hotels around that area and Hilton, as they have a hotel a short walk away from the bridge. There will be other hotels available and these are hotels I’ve stayed in that I’ve found to be the most convenient for the race. Get a training plan – While this isn’t as urgent, it is good to have a plan that will work for you for when you begin to step up your training. There are lots of training plans available on the internet but why not get your very own training plan created for you? Let me know if you need help with finding the right one for you. Start running – If you’re not already running regularly, now’s the time to start. Marathon training is demanding on your time as well as your body and it would be good to start now so you can get your body ready for the hard work between now and 28th April. I would recommend aiming for 3-4 runs a week for around 30 minutes at a time (or build up to that). Apply for a charity place for London – if you really want to London then have a look at a charity place. Charity places are limited so expect to raise a minimum of £2000 to get a place. 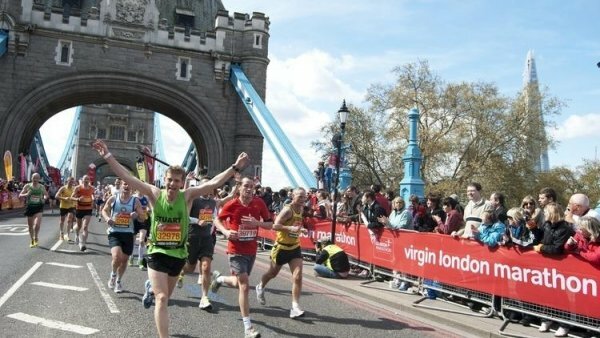 Choose another race – while London has a huge appeal, there are lots of other marathons taking place in April that are worth looking at. There’s Manchester and Rome on the 7th, Paris (I can personally recommend) and Brighton on 14th, Blackpool and Stirling on the 28th (same day as London) and also Liverpool and Edinburgh in May. As you can see, there are lots of other marathons you can do, check this link for many more. If you don’t get into London then it’s worth having a look at going to a city you’ve never visited before and build in a short break around the marathon.